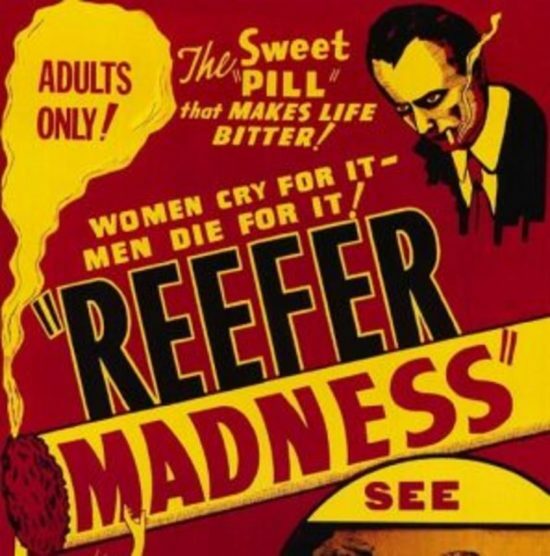 I have a history of occasional, informal, peer-reviewed, THC trials of psychoactive marijuana. The trial was simple: I smoked marijuana with friends. I try to imagine I was judged, during these trials, as witty and funny—then again, perhaps merely as stupid. Details are fuzzy. It’s been a long time. Marijuana has been loved and reviled since the Chinese first recorded use in a 2600 BC pharmacopoeia. They didn’t know the difference between any of the 113 or so cannabanoids, including tetrahydrocannbinol(THC) or cannibidinol (CBD), but someone must have suspected something was going on. I am new to cannibidinol(CBD), the non-psychoactive compound derived from hemp. You may be wondering: what’s the difference between marijuana and hemp? They are both derived from the same Cannabis sativa species, but they’ve taken different paths for different purposes. 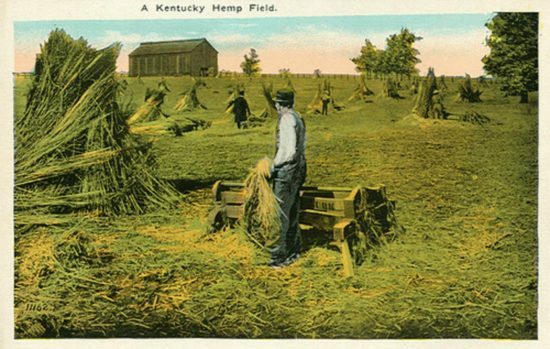 The Kentucky Department of Agriculture licenses growers under a Hemp Pilot Program. A miniscule .3% of THC is the Kentucky legal limit for hemp growers. The potent marijuana strain, “Stephen Hawking Kush” has a considerably heftier THC payload. CBD did not pop up on my radar screen until last year, while Kentucky was barreling along, trying to reclaim its rightful spot, from Colorado, as the King of Hemp. 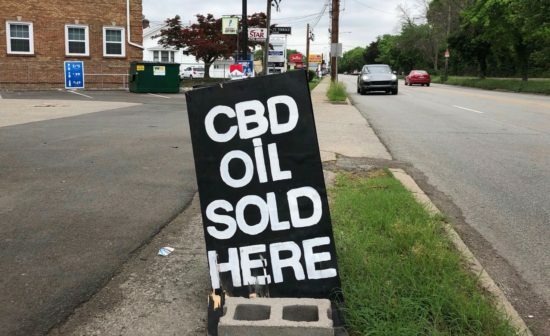 In the blink of an eye, CBD products started showing up in heath food stores, pharmacies and even gas stations around the state. As a remedy for various ailments, CBD shows promise, but it’s difficult to figure out what you’re buying in the current, wild weed rush, let alone to determine the origin of the hemp. There’s ample anecdotal evidence that CBD might be good for seizures, anxiety, pain relief, anti-inflammatory issues, as well a good night’s sleep, but it’s best to know what you’re buying. The jury is not in on all counts, although there is mounting positive evidence that CBD oil might be beneficial in some cases. 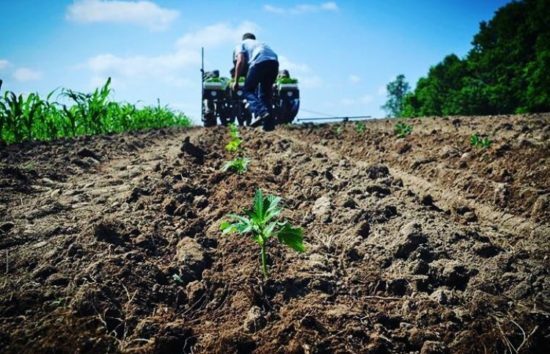 Farmers, out-of state investors, entrepreneurs and dreamers have jumped on board. 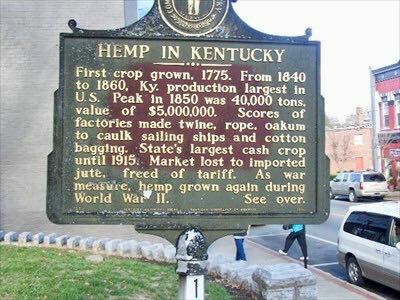 There are an estimated 225 growers producing hemp on over 12,000 acres in Kentucky. Colorado still leads the pack at an estimated 17,000 acres of hemp production in 2018. I’d always imagined Cannabis was a trouble-free crop. It’s not. Hemp requires enormous and expensive hand labor, on top of which are destructive pests and diseases. A new hemp leaf spot fungus was spotted just this season. 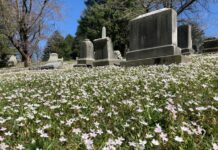 University of Kentucky pathologist Nicole Gauthier was excited about recognizing a new genus and species, but the disease will cause problems and, left untreated, can ruin a crop. Growing hemp organically? Preventative sprays of antagonistic and natural fungal and bacterial treatment are an option. And then there is the chemical arsenal, but there’s a hitch. Chemical fungicides and pesticides are not registered for hemp or marijuana because Cannabis is federally restricted. That may change for hemp when the 2018 Federal Farm Bill moves through Congress. There are no solutions for fungal or bacterial diseases, once plants are exposed to infectious pathogens because biological fungicides must establish and colonize before the pathogen is present. 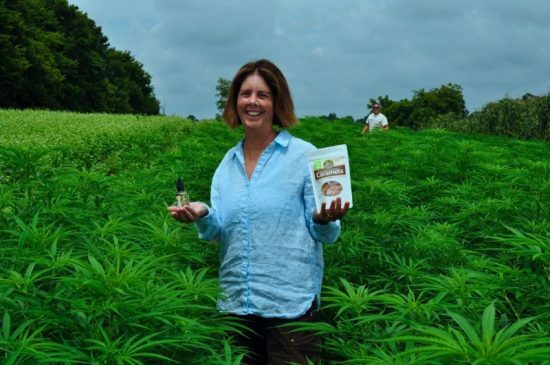 Laura Freeman, founder of Laura’s Lean Beef, is growing certified-organic hemp on Clark County, Kentucky, land her family can trace back to Daniel Boone, a distant relative. Freeman has been diligently moving her Mount Folly Farm toward sustainability since she first started marketing her own lean beef in 1985. Laura’s Lean Beef, free from antibiotics and growth hormones, was eventually offered in stores across American, Canada and Mexico. Freeeman sold the business in 2007 and thought she’d retire, but it didn’t take long before she asked, “How many yoga classes can I take in a week? Lining out hemp plants on Mt Folly Farm. Photo courtesy of Laura’s Mercantile. Freeman was too entrepreneurial to retire. She cared deeply about her ancestral land and thought Mt Folly farm was nowhere close to being fully sustainable. There was work to do. Now she markets a variety of farm-grown products. Heritage cornmeal is made from organic heirloom corn. She opened Wildcat Willy’s Distillery, producing moonshine whiskey made from her heirloom corn. The moonshine distillery is named in honor of her husband Bill. Freeman trademarked the name Moonshine Trail to tag team with the hugely popular Bourbon Trail. Freeman has established three goals for her farm’s sustainability: Ecology, economy (no one goes broke) and community. Laura’s Chocolates include hemp seed that are processed in Louisville. The delicious chocolates are made in nearby Mount Sterling at Ruth Hunt Candies. “This is the best collaboration I’ve done in a long time. It’s good for the community. Laura’s Full Spectrum Hemp Caramels contain 20 mg of CBD oil. They’re delicious. Try one before bedtime, and see if the sandman comes calling. Hemp is on the rise. If you’ve recently wandered around any health food store, you’ve probably seen a growing variety of hemp products—including seltzers, burgers and soaps. Time will tell whether the hemp bubble bursts or grows. Big Ag and corporate America are circling around. 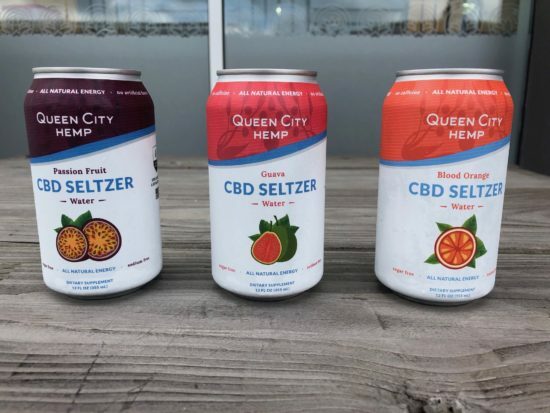 Coca-Cola has even announced plans to market a CBD soda. Louisville’s David Dafoe, and his Flavorman colleagues, are developing new CBD products, also. Laura Freeman thinks CBD products have a big upside, but so do lot of other entrepreneurs. “It’s the wild west,” she said. Freeman has never been fly-by-night. 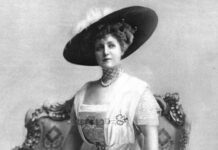 She lobbied the USDA and eventually was granted approval to stamp her Laura’s Lean Beef as free of antibiotics and growth hormones. CBD oil is in a similar situation. You should be careful what you buy. 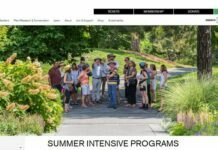 “I’ve concluded that deception in food advertising is so pervasive that local knowledge and transparency are the only answers,” Freeman writes on Mt Folly’s website. Freeman recommends a full-spectrum CBD oil with an “Entourage Effect” that includes many different Cannabis molecules, not a CBD isolate. “No one knows exactly how it works…You can’t have an ‘Entourage Effect’ without full spectrum and you can’t have full spectrum without THC,” Freeman said. Freeman’s Homestead Alternatives might be a place to start. Laura Freeman, holding her full-spectrum hemp tincture and CBD Caramels, with Ben Pasley, COO and Farm Manager, at Mt Folly Farm in Winchester, KY. Photo courtesy of Laura’s Mercantile. Though CBD oil seems to bring me a good night’s sleep—most nights—I am not ready to make an unequivocal product endorsement of CBD oil. I started “low and slow.” I am going to up the dosage from 25 mg to 30 mg and see if my sleep deepens. The mysteries of Cannabis are slowly being decoded. Israeli researchers first uncovered medical potential with the discovery of Cannibidinol (CBD) and dozens of other molecules. You’re not going to get high on CBD oil, either, but it might make you healthier. I’m trying mightily to keep my wits about me. A good night’s sleep is now a lot more appealing than pounding the bong. So far, I’m only using CBD oil for one of my dogs, but I noticed that a CBD outlet recently opened on Route 42 in Prospect (KY), just down the hill from my house. It’s popular at local Farmers’ Markets around Louisville, too. I also remember (fondly, but with no wish to repeat) my years of recreational smoking of marijuana in the 1970’s! That feel-good effect may be therapeutic, too! And, it may be a crop that proves very beneficial for farmers and the environment.